My AmeriCorps experience so far has been full of unexpected encounters with some of the most kind hearted and caring people I have ever met. On a daily basis I get to serve with people who are just starting to begin their journey with the American Red Cross and through that they get to tell me a little bit about why they want to volunteer and give back to their communities. Many of these people simply wish to be there for others in times of need and lend a hand; they all seem to have a heart for service. When I first began at my service site I knew I would be meeting these types of people simply because of the type of organization I was going to be serving with. However, when I had the opportunity to see service in action for the first it was truly an awesome experience. For those of you familiar with the American Red Cross you know what the Home Fire Campaign is. For those of you who are not, the Home Fire Campaign is an amazing initiative where the Red Cross teams up with organizations and works to help educate the public about fire safety as well as install smoke alarms for free. Many of these installations occur in homes which do not have any existing alarms, or which have outdated alarms. 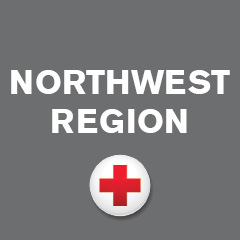 During October I went and served with the American Red Cross in partnership with the Spokane Valley Fire Department to help install smoke alarms in a high-risk neighborhood in the area. At first my team and I were a little discouraged because we were not having much success. A lot of people either did not answer their door or simply did not want the service we provided. I was feeling a little let down around lunch time thinking I had not done much, but that soon turned around. It was almost the end of our day and my team and I were rounding up the last of the homes on our route. We only had one little cul-de-sac left, and with our rate of success, we thought it would be a breeze and we would be finished up sooner than expected. As we approached the first door we knocked and a sweet older lady answered the door. She had just moved in and was super excited for us to check her alarms. We checked them and noticed the alarms were over 20 years old so we gladly replaced them and educated her on resources and what to do in the case of a home fire. She was very happy with the service provided and we felt we had really made a difference! After that we were off to the house next door. At the next house we were greeted by the nicest old man who yet again had alarms that were really outdated. He informed us that their entire cul-de-sac was a retirement community whose homes were likely to have similar smoke alarms as they were all constructed in the 90’s. Boy was he right. In that small cul-de-sac we installed almost 20 alarms in nearly every home which were all occupied by the elderly. That truly left an impression on me. This experience showed me that service cannot be measured in simple metrics because if you make a difference in one person’s day, install one alarm that saves one person’s life, or provide information that is new and helpful to at least one person you have made a difference. My day started off rocky but by the end I truly understood what service was all about. It’s about giving back and helping those who otherwise might be forgotten. My story of service isn’t over, it just really got started.